Many of our favorite movies and television shows require CGI magic to happen, and we don’t question that. After all, who’s Daenerys without her dragons, Drax without Rocket Raccoon to harass, or Beauty without a Beast? Well, we just got a peek into who they are — at least behind the scenes, because there’s a Twitter thread of actors before CGI magic that’s making the internet rounds, and it is hilariously breathtaking. Seriously, just try to get through this list without laughing big laughs. There are so many goodies to choose from, but here are some of our favorite examples of actors before the addition of CGI magic. For starters, what’s easier than making New York City look old-timey AF? CGI magic, of course. And then, if you had mixed feelings about Tim Burton’s adaptation of Alice in Wonderland, this BTS look probably won’t help. Also, can we get real about something? The dude who plays motion-capture Rocket Raccoon is just as hot as the guy who voices him. Bradley Cooper, BTW. 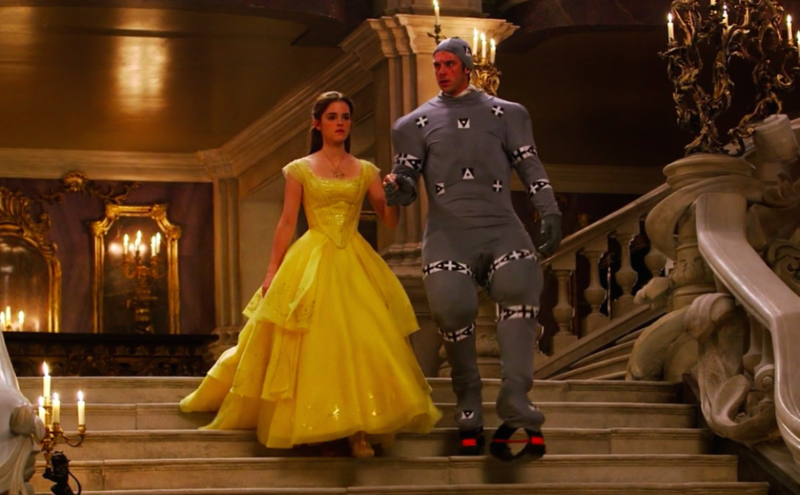 But, our ALL-TIME FAV pre-CGI look has to be Dan Stevens in Beauty and the Beast. Let’s be real: He’s still hot in that hilarious motion-capture suit, and no amount of CGI magic can change that. But also, we can’t stop laughing at the motion-capture suit. As Twitter user @thisbemesara points out, folks should give actors a *lot* more credit. Even when CGI magic doesn’t end up quite as magical as you hoped, someone still had to film opposite a guy in a crazy suit, fake legs, and so on. Three cheers for actors who laughed, cried, and acted their hearts out against people who looked beyond absurd. While we’re at it, let’s hear it for the actors whose job it is to move around in form-fitting outfits while celebrities gently pet their heads.